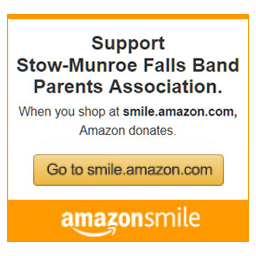 The mission of the Stow Munroe-Falls Band Program is to provide a quality music education to all students. Our focus is building quality by focusing on the individual performer. Concert bands, marching band, small ensembles, and solo experience leads to a well rounded player. Performance opportunities, especially those through the Ohio Music Education Association, are encouraged for all. Additionally, through the band, students will learn: a feeling of belonging, team work, time management, dedication, self esteem, leadership, cooperation and responsibility. Greg A. Newman is a graduate of Kent State University and holds a degree of Music Education (trumpet emphasis). Mr. Newman has been director in Stow-Munroe Falls for 21 years. He was Director of Middle School Bands 2004-2018 and high school Assistant Director from 1996-2003. Prior to that appointment, he was a band director in Southeast Local Schools (Portage County). Mr. Newman serves as the Brass Specialist for the district. His middle school and high school concert bands participate in OMEA large group contest and consistently receive Superior and Excellent ratings. Mr. Newman’s eighth grade band performed at the Ohio Band Directors Conference at The University of Akron in 2011. Mr. Newman’s middle school jazz band has performed at the 2015 OMEA Professional Development Conference. His professional memberships include the Ohio Music Education Association, International Trumpet Guild, International Association for Jazz Education and Jazz Education Connection of Ohio. Sandra (Sam) Sandman holds a Bachelor’s of Music Education degree from Cleveland State University with the emphasis on saxophone. She also holds a master’s degree from Ashland University. She started her career in 1995 in the Mentor School System teaching elementary general and instrumental music. She was the Junior High Band director in Mentor from 1999-2004. In 2004, she was hired in the Stow-Munroe Falls City School District, where she is currently teaching 6th Grade Band, Freshmen Band, and Maroon Band at the high school. She also assists at Kimpton Middle School and has taught 5th grade band in years past. Sam still enjoys playing her saxophone and is currently playing bari sax in Prime Time Big Band. She enjoys baking and resides in Stow with her husband and two sons, Joshua and Andrew. Krystal Grossi is beginning her fourth year of teaching in the Stow-Munroe Falls City School District. She is a 2009 graduate of The University of Akron where she earned a Bachelor’s of Music in Music Education, with an emphasis on flute and instrumental music. After graduating college, Krystal began her career teaching general, vocal, and instrumental music to grades K-12 at Oakdale School, in Oakdale, TN. Currently in Stow she directs the 5th grade band, HS Gold Band, assists at Kimpton Middle School, and teaches high school music theory and music appreciation. Krystal resides in the Cleveland area with her husband and 1 year old daughter, Lily. She is a member of the Ohio Music Education Association, North East Ohio Flute Association, and enjoys playing her flute in the Music Settlement Flute Choir, Flautrageous. Tom Lewis a graduate of Stow-Munroe Falls City Schools and graduate of Kent State University with a bachelors degree in Music Education concentrating in Percussion. He is member of the Ohio Music Education Association and Percussive Arts Society. He is entering his sixth year of teaching and first year at SMF. Mr. Lewis has taught previously at Nordonia, Sheffield-Sheffield Lake, and North Canton. His career in education started as a Percussion/Assistant Band instructor at Nordonia (2008-2013), Elementary/Middle School Band Director at Sheffield (2013-2014), and Assistant High School/Elementary Band/Percussion Specialist Director at North Canton Hoover (2014-2018). Mr. Lewis’s groups have received consistent Superior Ratings at OMEA Solo & Ensemble adjudicated events including a High Marching Percussion Award in OMEA Marching Band Adjudicated Competition Events. He also has taught middle and high school jazz bands throughout his career. Tom is looking forward to being back at home continuing and advancing the outstanding success and prestigious reputation that comes with the Bulldog Band Program. GO DAWGS! 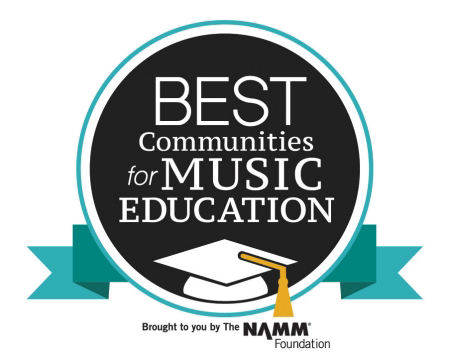 Stow-Munroe Falls City School District has repeatedly been designated as one of the Best Communities for Music Education for its outstanding commitment and support for music education as an essential part of a complete education. 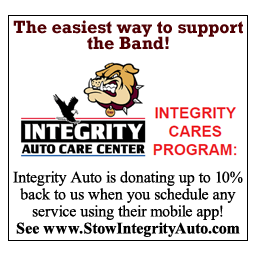 Click here to support our bands!